In case citations, the Eleventh Circuit is often shortened to 11th Cir. or CA11. 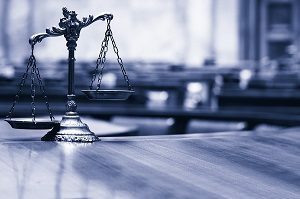 Apply the de novo standard to determine whether the claim administrator’s benefits-denial decision is “wrong” (i.e., the court disagrees with the administrator’s decision); if it is not, then end the inquiry and affirm the decision. If the administrator’s decision in fact is “de novo wrong,” then determine whether he was vested with discretion in reviewing claims; if not, end judicial inquiry and reverse the decision. If the administrator’s decision is “de novo wrong” and he was vested with discretion in reviewing claims, then determine whether “reasonable” grounds supported it (hence, review his decision under the more deferential arbitrary and capricious standard). If no reasonable grounds exist, then end the inquiry and reverse the administrator’s decision; if reasonable grounds do exist, then determine if he operated under a conflict of interest. If there is no conflict, then end the inquiry and affirm the decision. If there is a conflict, the conflict should merely be a factor for the court to take into account when determining whether an administrator’s decision was arbitrary and capricious. Blankenship v. Metropolitan Life Ins. Co., 644 F.3d 1350, 1354 (11th Cir. 2011). The Ortiz Law Firm represents claimants throughout the Eleventh Circuit, particularly in Florida. Mr. Ortiz represents claimants from anywhere in Florida, including (but not limited to) the following cities: Jacksonville, Miami, Tampa, Saint Petersburg, Orlando, Hialeah, Tallahassee, Fort Lauderdale, Port Saint Lucie, Pembroke Pines and Pensacola.